PP Laminated Kraft Bags made up of High strength Kraft and durable woven fabric, suits for 10-25kgs bulk packing. Printing can be done as per customers requirement. Brown and white colour Bags avilable. One colour printing paper bags. 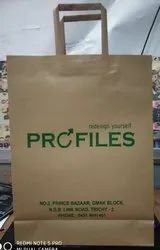 We have carved a niche amongst the most dominant names in this domain, engaged in offering PP Laminated Kraft Bag. In order to keep pace with never ending demands of the customers, our company is instrumental in presenting excellent quality assortment of Die Cut Kraft Bag. we are manufacturing and supply various kind of kraft bag as per client's requirement. 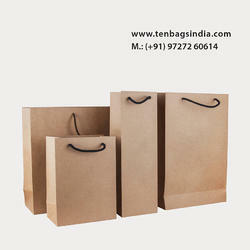 We have marked a remarkable position in the market by offering the best quality array of Kraft Paper Bag. Our company is a reckoned entity engaged in offering an exclusive range of superior quality Craft Bags. These craft bags can be utilized for keeping valuable during travel. Backed by years of industry experience, we are engaged in offering a premium quality range of Laminated Kraft Bags.